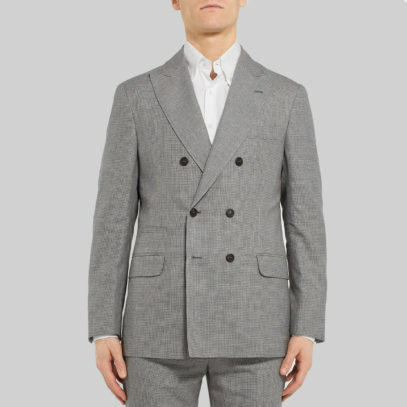 There are few styles that have dipped in and out of favour as readily as the double-breasted blazer. 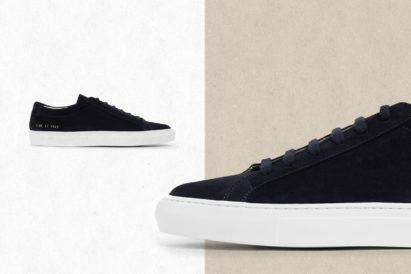 One minute, it’s the height of fashion. The next, it calls to mind pleasure cruise captains, or Alan Partridge. But, thankfully, double-breasted is currently enjoying some well-deserved time in the limelight. 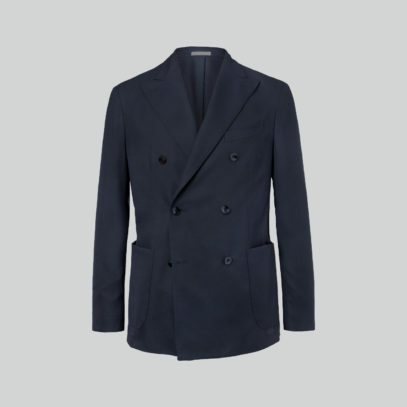 From Hackett, this double-breasted blazer is a surefire way to smarten up your look with a touch of effortless sophistication. 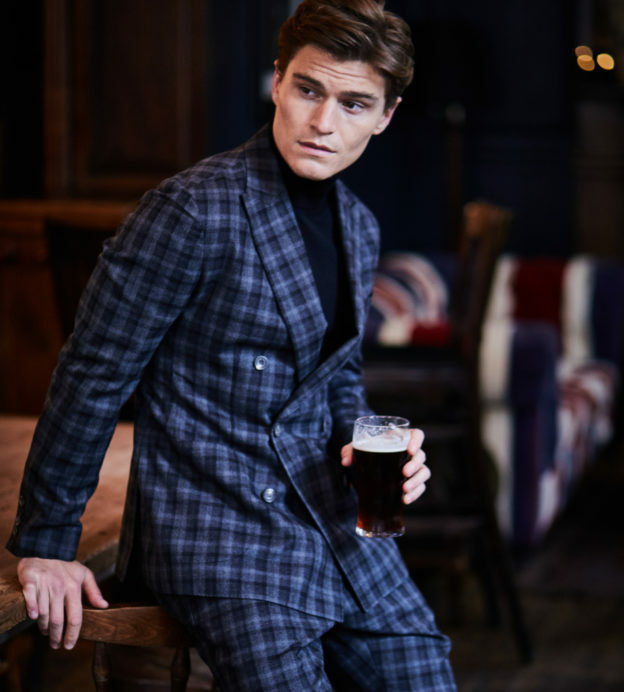 New & Lingwood, similarly, have perfected the archetypal English blazer with this exquisite piece of tailoring that embodies the best of British. 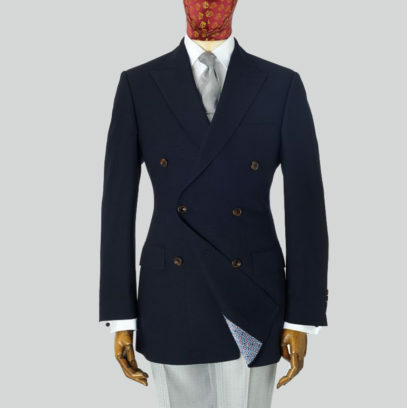 Or, from Gieves & Hawkes, this navy wool option is perfect for winter. 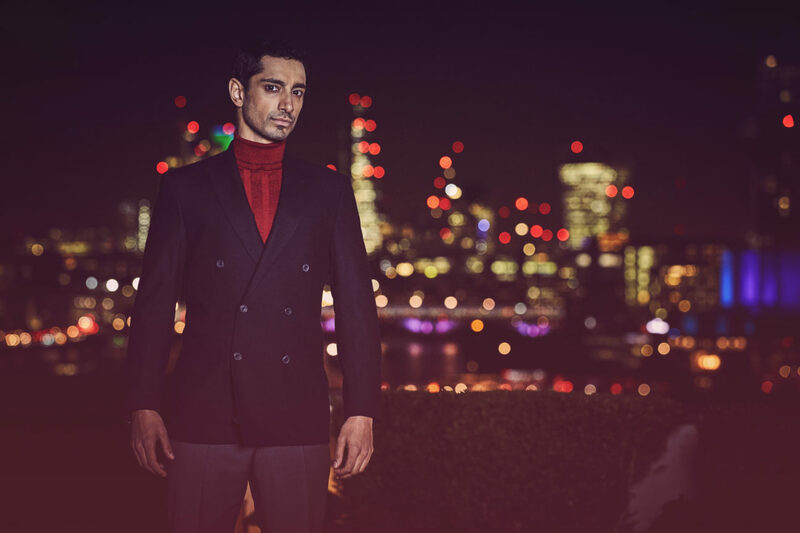 That 80s power dressing we mentioned above? It wasn’t great. 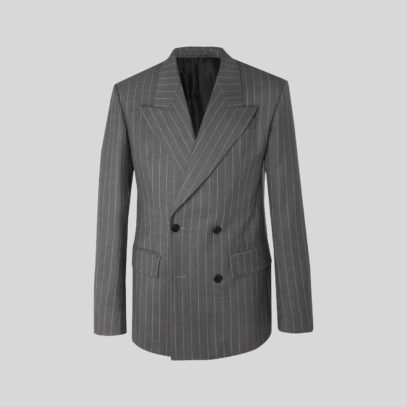 Most men just went for big, bold, badly-fitting suits which left them looking less like Gordon Gekko and more like a wallet. 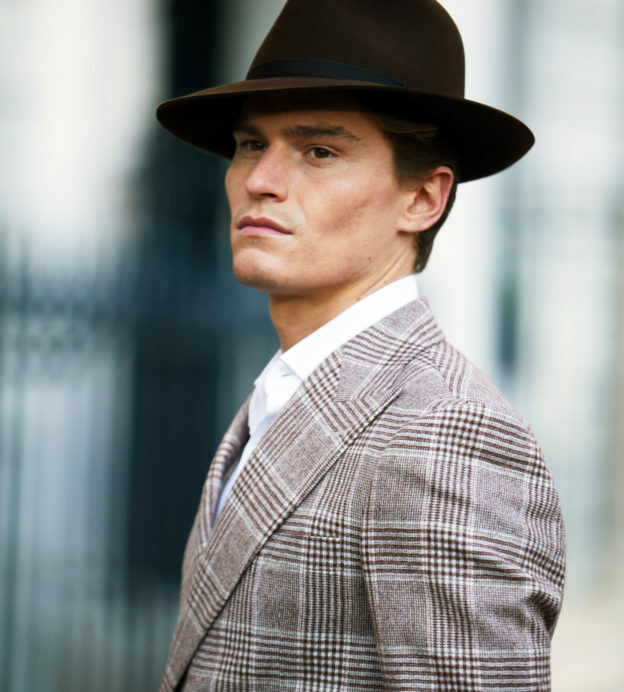 Today, try something with more understated lapels, but also opt for a striking pattern — double-breasted is one of the only sartorial canvases where such expressions stand up. 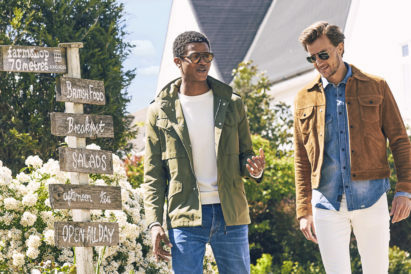 Ralph Lauren knows what he’s doing. 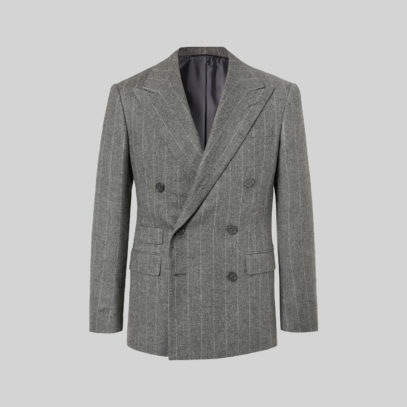 This grey wool option is woven with tonal pinstripes to ensure that it makes an impression, but is easy to pair things with. 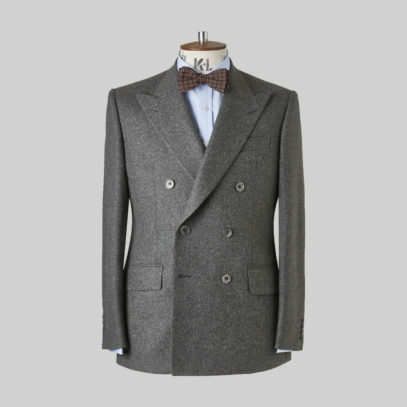 From the Kingsman collection, this Prince of Wales checked wool jacket is woven by Huddersfield-based mill Arthur Harrison. 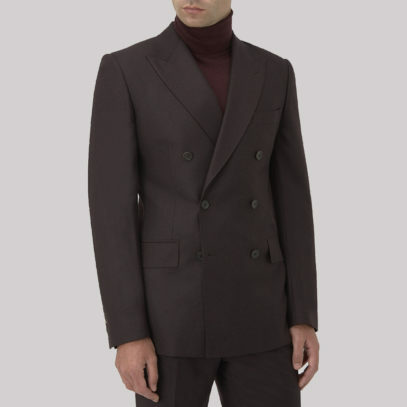 Or, for some real Italian power dressing cool, go for Versace’s suit jacket, boasting fluid wool and a light structure. 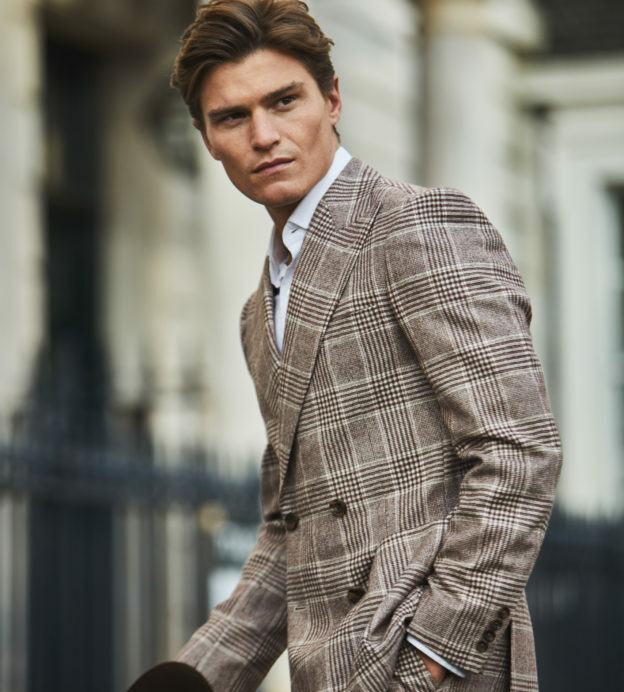 Although modern-day double-breasted blazers tend to be more slim-fitted than the traditional examples, this doesn’t mean they have to be worn smartly. 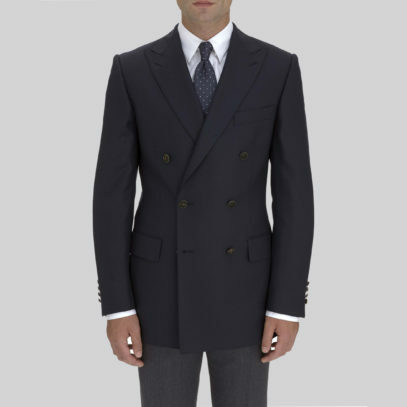 In fact, one of our favourite versions of the double-breasted blazer is the unstructured option. 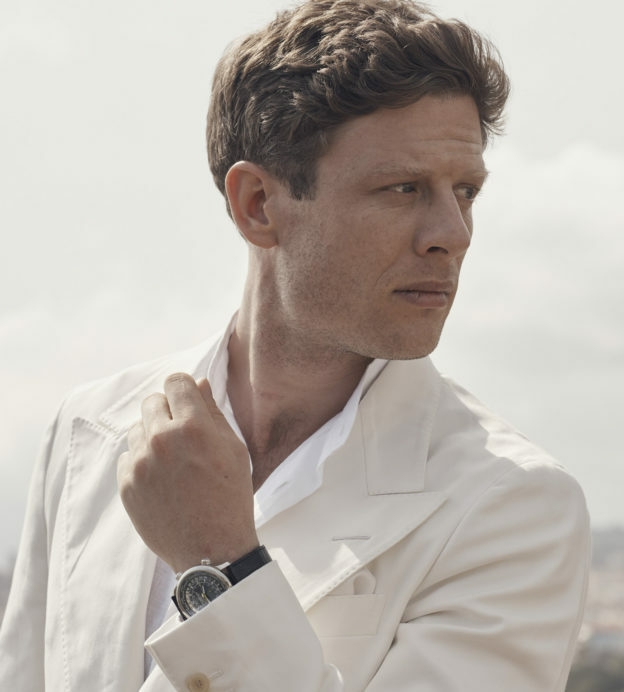 With looser shoulders and more texture, it’s as far from power dressing as you can get — and all the better for it. 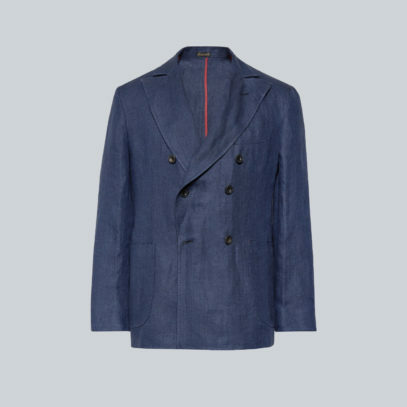 No-one does casual like the Italians, and Rubinacci’s linen blazer is light, cool and very easy to pack. 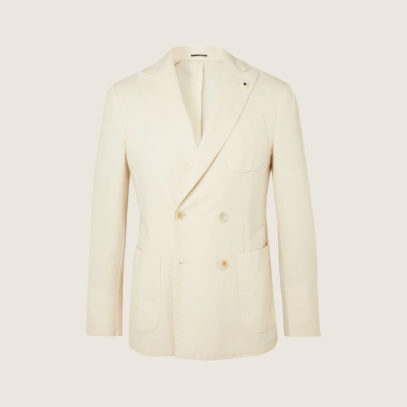 Lardini, too, have expertly tailored this blazer in Italy with touches of wool and cotton, creating a double-breasted garment in a fresh neutral shade that’s perfect for warm-weather soirees. 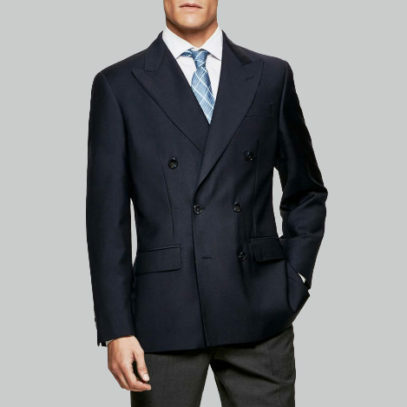 Or, for a darker shade, Boglioli’s is tailored in a slim fit from hopsack — a fabric that’s breathable, crease-resistant and drapes nicely. 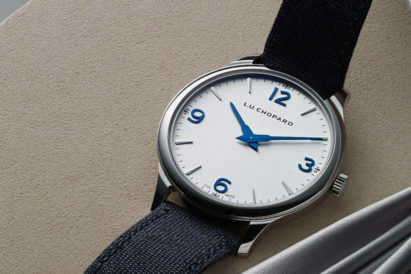 Molto bene. 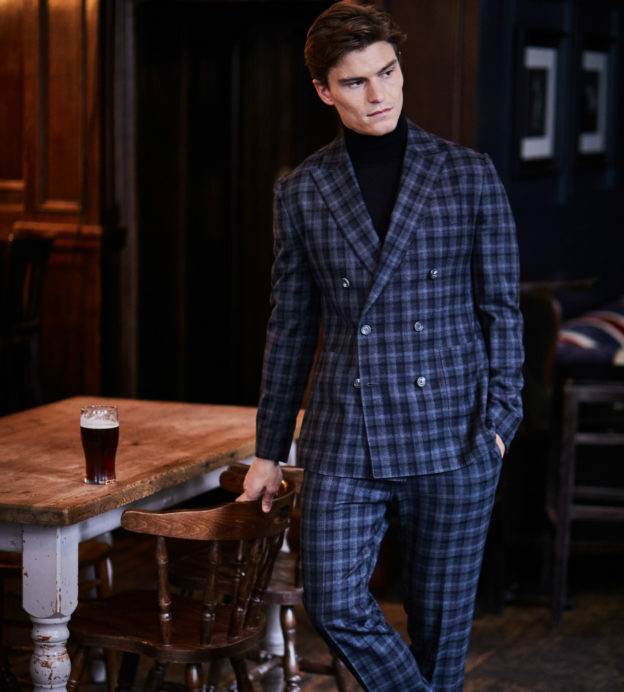 Gieves & Hawkes have once again thrown their double-breasted offering into the ring, with a chic maroon suit that will prove to be your signature piece of the season. 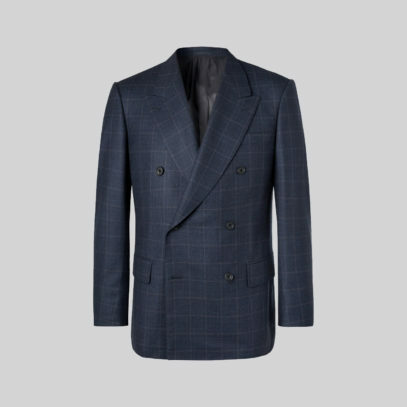 Chester Barrie have a suit ready for winter weather with their Fox Flannel Eaton example, and Brunello Cucinelli have you prepared for summer, with this puppytooth suit jacket, tailored at the brand’s Solomeo atelier from a lightweight blend of linen, wool and silk.